This is one of the most common concerns among pilgrims. Would it be rainy, snowy, windy, freezing…? But weather would depend mainly on your route. If you don´t want to worry too much about it, try to avoid mountainous areas such as Pyrenees and O Cebreiro because it will be snowy at winter time. Maybe Christmas is a wonderful time to walk short sections of the Camino Francés or Camino Primitivo such as the section from Sarria to Santiago. 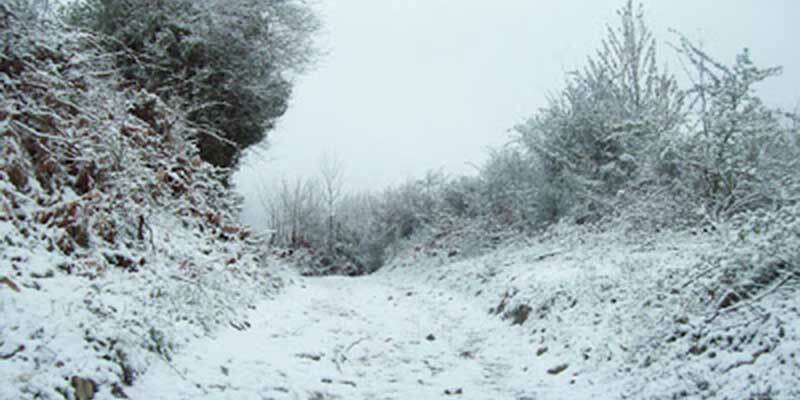 In Galicia, weather is generally mild in winter. However, it is also true that it can be heavily rainy. If you check the weather in Galicia in www.meteogalicia.es/ you will find a range of 15 days in advance to know what the weather will be like, it also includes a weather tab giving you the average temperature and rainfall for each month in the area. Furthermore, you should try to stay in a group on bad-weather days if you can. At least make sure that someone going to the same destination knows you intend to go there too so that if you don’t show up, someone will know you’re still out there. There are fewer hours of daylight in winter, so keep it in mind when planning your day. Unless you’re planning to do 45-50km days, there is no reason to start walking before the sun comes up. Walking in the dark is another easy way to get lost. In summer, people get up at 5 AM to make sure they get a bed at their chosen destination, but in winter there is no need to worry about that. You should know that many albergues and hotels along the Camino de Santiago close for the winter months, particularly in smaller towns and villages. There are also many travel agencies that are on holidays especially at Christmas. However, the most popular routes and bigger towns will be more likely to have accommodation open this time of year. 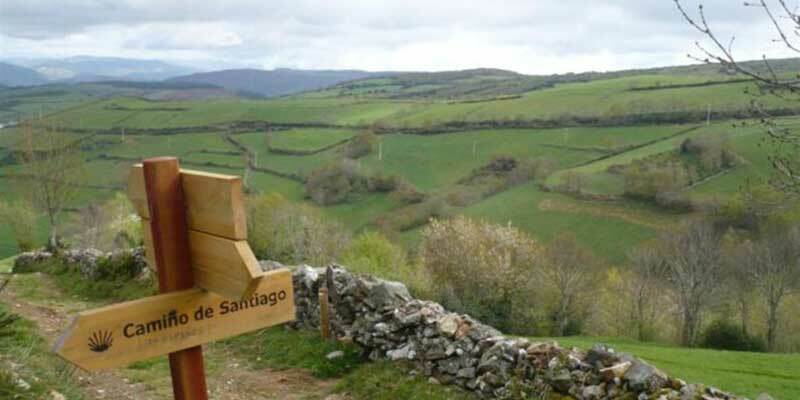 If you are walking the Camino Francés from Sarria to Santiago, you will be able to be accommodated but if you are interested in walking any other section or route of the Camino de Santiago, then you should check with travel specialists well in advance to know if accommodation is available. Pilgrim offices and lots of albergues usually have prior information and a printed list with the places that are open and close. On the French Way, there are pilgrim albergues open all year round, mainly the public ones (called albergues municipales). You won’t have much of a choice as to where you stay in winter if you’re looking to stay in the cheaper pilgrim albergues. 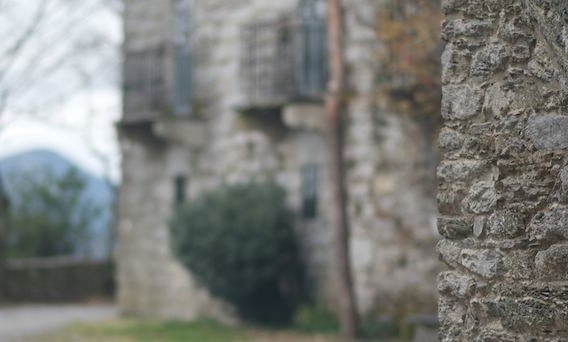 Moreover, all the public albergues in Galicia are open all year round. Keep in mind that Christmas holidays in Spain run from December 24th through January 6th so there are even more albergues closed during these dates. Don’t trust the Internet as to which places are open year-round. Each year different albergues stay open, or an albergue may be nominally open all year but closed for 10 days in January just when you arrive. It’s better to call ahead to confirm if an albergue is open and check with the hospitaleros( innkeepers) along the way as they usually know what’s open in the upcoming towns. There will be less pilgrims on the way around those dates so you might miss out on the social aspect of the Camino. Walking at Christmas time will be a quiet and more peaceful but if you are looking for a social experience, this might not be the right time for you to travel. Solitude and snowy scenery in winter can be astonishing for some pilgrims and miserable for others. Winter walking has real challenges. Only mountain walking would present real dangers but it can also be cold, wet and unpleasant. Be prepared, have the right gear, plan ahead and take local advice. In this way, all will be right. 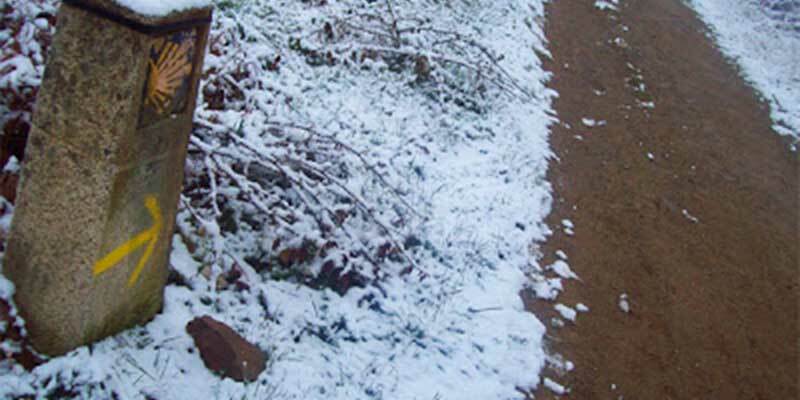 Winter troubles can be avoided with good layering clothes, technical clothing preferably, good waterproof shoes or boots and a water proof outer shell. Local people celebrate Christmas cooking popular dishes, gathering in family and meeting friends, decorating their houses and streets. Every pilgrim is invited to enjoy this joy and tradition. Most of towns and villages decorate the main streets with Christmas lights and ornaments, nativity scenes are very popular, and locals are more friendly than usual (Christmas spirit is all around). Galicia is well-known for its shellfish. You will find clams, langoustines, lobsters, spidercrabs or gooseneck barnacles in many restaurants. Shellfish and fish is highly regarded in this area. 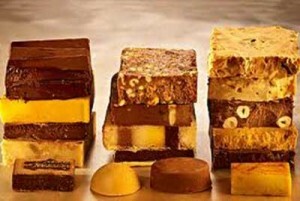 Galician people are also very fond of sweets and you will be able to taste delicious turrón, mantecados and polvorones (specially in the Camino Via de la Plata). For the celebration of the “The Three Wise Men” on 6th January, there is a cake called “Roscón de Reyes”. If you are walking the Camino de Santiago during those dates, you will be able to find some in any bakery and many cafes will serve it on the day too. If you prefer meat, lamb is a very popular and tasty choice for Christmas dinner. And finally, if you decide to drink a toast for the New Year coming, you will need to get your hands on some natural cider or cava. Cider comes from Asturias on the Camino Primitivo or on the Northern Camino and cava comes from Catalonia on the Catalan way. Enjoy your Camino at Christmas time. 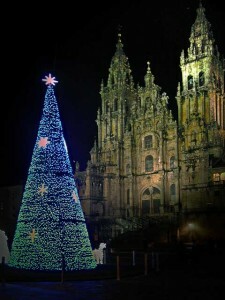 My husband and I are thinking of hiking from Sarria to Compostella over Christmas. We would be leaving Sarria on 12/27 and arriving at Compostella 1/4. The towns we are planning to stay in are as follows. Sarria, Morgade, Portomarin, Ventas de Noron, Palas de Rei, Melide, Arzua, Rua Redrouzo, Lavacolla, Ruta Jacobea, Compostella. In Sarria and Compostella we will stay in hotels. However, in the smaller towns between Sarria and Compostella will public albergues be open. It says above they will be but also says they may be open year round but closed during the 12 days of Christmas, so I just wanted to make sure.